Saturday, March 9th was all about Death Metal in Worcester, Massachusetts. It all began at 3:00pm, with a packed matinée show at Ralph’s Rock Diner, one of the most popular smaller venues in New England. It also happens to host a regular night of metal bands. This round was a special matinée show to warm up the masses to coincide with the Decibel Magazine Tour event happening later in the evening at the Worcester Palladium. Headlining this early show were Pennsylvania natives Outer Heaven and three local outfits – Summoning Hate, Garroted, and Mucophagus. This show would have been enough on its own to fulfill your Death Metal needs, but immediately after, and about a mile down the road, the Decibel Magazine Tour was at the Worcester Palladium – featuring Morbid Angel, Immolation, Necrot and Blood Incantation, along with a few more. It was a prompt 7:00pm start, with most everyone from the Ralph’s show in attendance, plus another 1500 or so fans added to the mix. Two bands on the bill have even played little old Ralph’s themselves not so long ago (Immolation and Blood Incantation), which made it feel even more like a party. See the full photo gallery [HERE]. 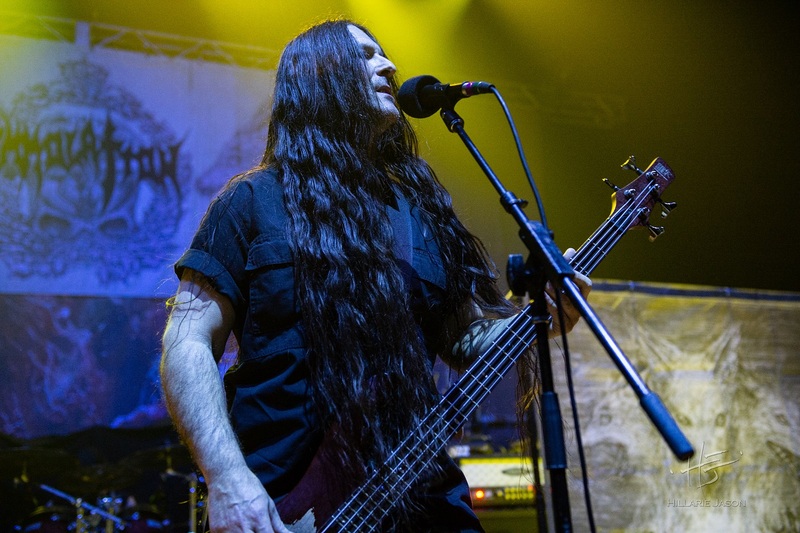 2019, Blood Incantation, Concert Photos, Death Metal, Decibel Metal & Beer Fest, Decibel Tour, Garroted, Guest Contributor, Hillarie Jason, Immolation, Live Photos, Massachusetts, Metal, Morbid Angel, Mucophagus, Necrot, Outer Heaven, Photo Gallery, Photographers, Review, Show Review, Summoning Hate, Tour Dates, U.S.